You wait weeks – no, months – for some form of official update or promo for Zack Snyder’s Justice League movie and suddenly, two arrive within the space of an hour. With DC fans still reeling over this morning’s all-too-brief trailer tease, Warner Bros. has now rolled out a striking new poster for its 2017 ensemble movie tethered with one simple message: unite. It’s arrived at the perfect time, too, considering that CinemaCon and WonderCon are both right around the corner. But for many, it’s March 25th that’s been circled on the calendar. That’s right, after today’s fleeting promo drew attention to Jason Momoa’s scenery-chewing Aquaman, this Saturday will bring about the second full-length trailer for Justice League, and the Internet is already awash with speculation. Cast your mind back to last year’s San Diego Comic-Con and you’ll no doubt remember the inaugural Justice League teaser, one which largely revolved around Batman (Ben Affleck) and Wonder Woman’s (Gal Gadot) efforts to track down and subsequently recruit a handful of powerful metahumans. 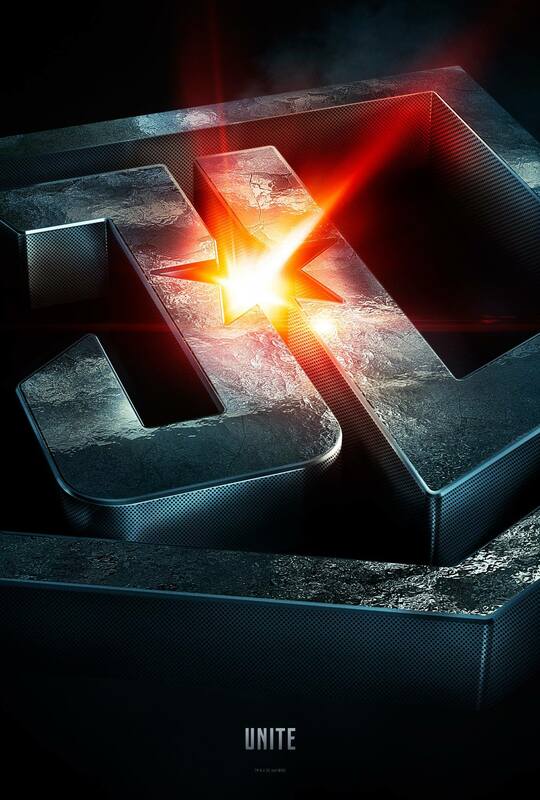 Those superpowered individuals are, of course, the aforementioned Arthur Curry, Cyborg (Ray Fisher) and The Flash (Ezra Miller), but now that Zack Snyder’s team-up movie is barreling down on its November launch, one might assume that Saturday’s trailer will shed light on some of the film’s more spectacular action shots now that VFX work and post-production is beginning to round the final corner. Perhaps we’ll finally get a glimpse of Ciarán Hinds in the role of Steppenwolf? Time will tell. On November 17th, Zack Snyder unites the Justice League for better or worse. It’s the second of two DC tentpoles pegged for release this year, what with Gal Gadot and Patty Jenkins poised to unveil Wonder Woman‘s origin story on June 2nd – an origin story 75 years in the making.